Embark on a magnificent 2 hour Zambezi tram lunch trip across the famous Victoria Falls bridge, allowing for awesome views of the Victoria Falls and Batoka Gorge. You begin the Zambezi Tram tour at the historic Victoria Falls Railway Station, the oldest building in Victoria Falls. Here you are greeted with a selection of premium beverages, gourmet sandwiches and freshly baked grissini before boarding the tram. The vintage styled, open-sided tram meanders through a section of the National Park before stopping in the centre of the iconic and historic Victoria Falls bridge. 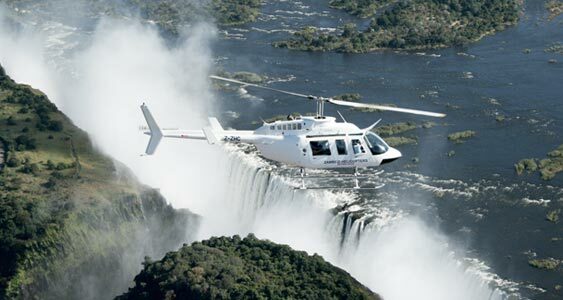 Take in scenic views of the river and waterfall from 110 metres above the Zambezi River. In the Bridge Museum, an expert actor plays the bridge designer, George Andrew Hobson and brings to life the epic history of the bridge and the colourful characters who took part in its construction in a fast-paced and humorous presentation. A short walk brings you to a restful spot on the edge of the gorge where a selection of snacks, craft gins and fresh accompaniments awaits. Revel in the spectacular view before you depart for your return tram ride inspired and invigorated by the fresh air, historical context and modern life that embodies Victoria Falls. The Victoria Falls Tram seats 21 passengers on 7 comfortable benches. 6 of which have flipped-over, tram-style seatbacks that allow you to enjoy the spectacular views whichever direction the Victoria Falls tram is travelling.